What’s the biggest financial investment most people make during their lifetime? Today the answer is most likely your family home. It’s where you can be you, and memories are made. 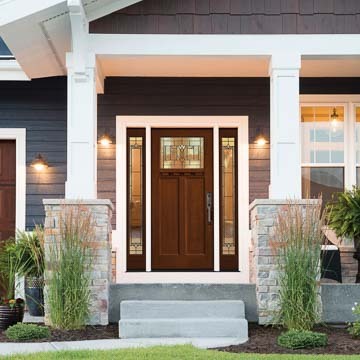 Everyone wants a beautiful home, and there are many choices for the exterior of your home. One choice is stucco, a fine plaster that covers the exterior walls of your home. Applied wet, stucco hardens to a very dense solid material and guards against the elements. Or it should. Lately, home owners are finding out that improper stucco application, and improper installation of windows and doors, are making those dream stucco homes a nightmare. If stucco isn’t installed correctly, when it rains, water can infiltrate the exterior cladding and get caught there instead of drying out. Mold can form and start the process of eating away at your home! While current building codes require stringent moisture protection and drainage methods, older stucco homes might fall prey to these issues. The most critical issue is the potential damage that might exist to the structure. It’s rare that when stucco is removed some damage is not found. For the most part, the damage is in the sheathing only, but there have been instances where the framing has been damaged to the point of needing replacement. Another concern is mold, which obviously can be a health hazard. Due to the publicized problems associated with stucco homes, potential homebuyers might not consider purchasing a stucco home. If they do, know that they will have a stucco test performed as part of their home inspection. This entails a qualified stucco home inspector doing a visual inspection around your home’s exterior. A more invasive, but very accurate test is done by drilling two very small holes in the stucco at suspect locations. A moisture probe is inserted into the wall, and the moisture content of the wood or wall sheathing is measured. If the moisture level is too high, the next step is to have a qualified stucco remediation company come out and measure your home for removal of the stucco and replacement your home for removal of the stucco and replacement with a siding product that resists damage and infiltration from moisture. There are some telltale signs that you may have a problem. Dark staining around your windows, doors and chimney areas is one of the most obvious signs. It could be just dirt runoff, but again, a qualified and insured stucco inspector should perform an inspection and possible test. Another sign is efflorescence, which manifests as a white buildup of mineral deposits in stucco. This white “stain” comes to the surface once moisture has penetrated the stucco. Moisture intrusion can always be a challenge. 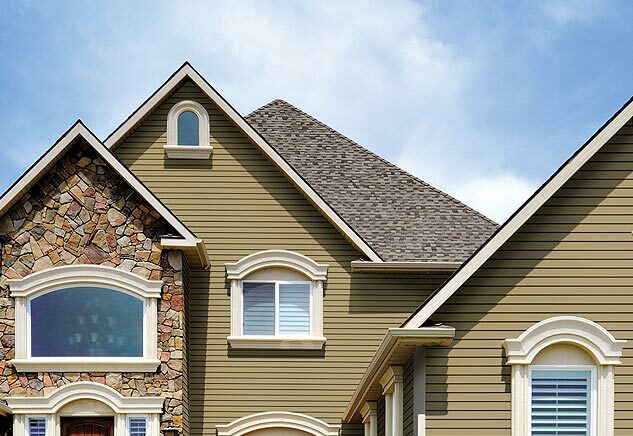 If you need to replace your stucco, consider a siding product, such as a well-designed lap siding, that can resist damage from moisture and help manage moisture on the walls of your home. The most common replacement is with a new exterior siding, usually vinyl or fiber cement. Mastic or CertainTeed are two manufacturers of vinyl siding that offer different choices for your home. James Hardie fiber cement siding is a product that is durable and has a multitude of color choices that will enhance the beauty of your home as well. James Hardie requires that companiesare trained specifically to install their products. Look for a company that holds a preferred status with James Hardie. If a homeowner believes there may be a problem, they should contact a reputable, established company that deals with stucco remediation. Homeowners should make sure the process is described in detail to them. A few companies can show a computerized rendering using a photo of your home to show you firsthand how your home will look. Look for a company that has a showroom where you can see both vinyl and fiber cement siding to help you choose your perfect style. Bottom line, if you have a home covered in stucco, be diligent for signs of trouble, or proactive and consider an exterior analysis or inspection.